Eye candy. 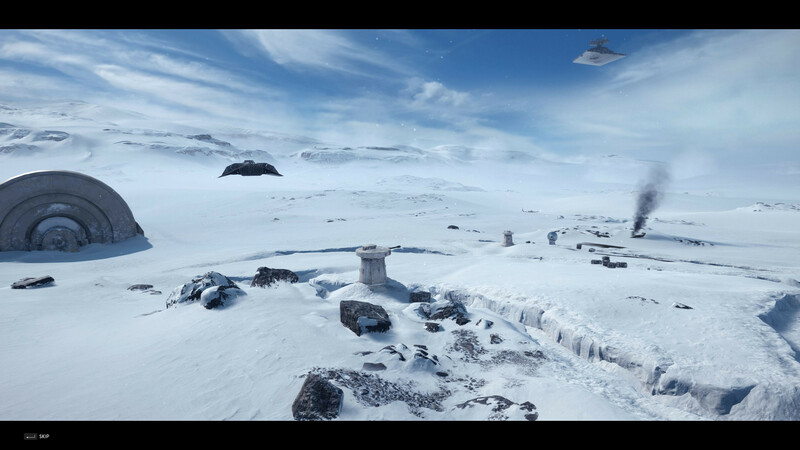 Casualization or not: “Star Wars Battlefront” is a real highlight in terms of graphics, which makes most competitors look rather outdated. Find out if you can also enjoy the game on notebooks. 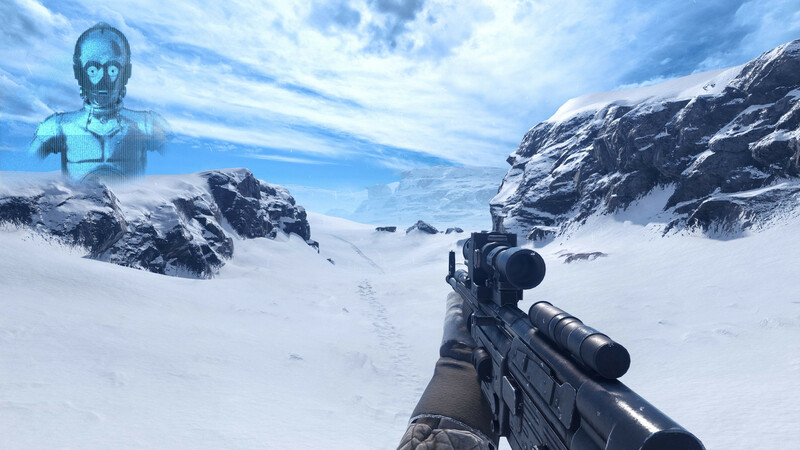 Similar to the shooter siblings “Battlefield 4” and “Battlefield Hardline”, developer DICE once again uses the Frostbite 3 engine, which has been constantly optimized and improved with new features over the last few years. 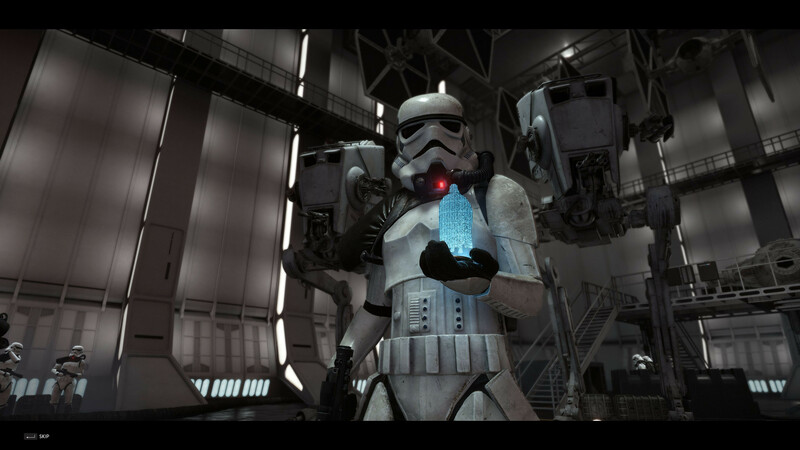 It does not matter if you look at textures, lighting or effects (water, particles,...): “Star Wars Battlefront” leaves a great impression in almost every aspect. 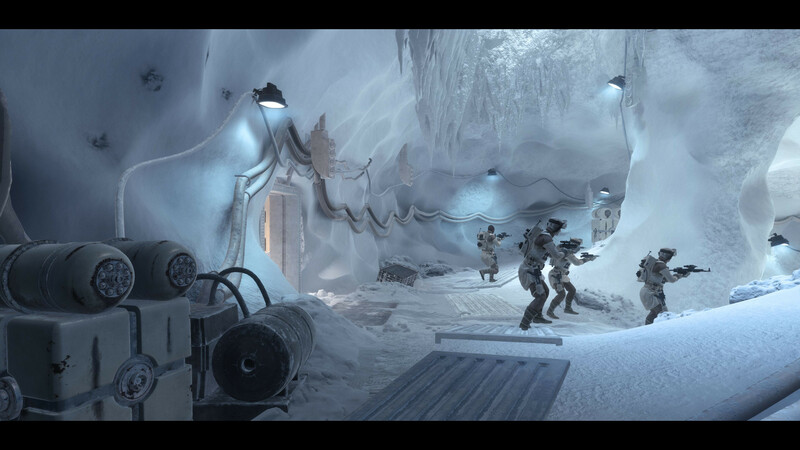 Other strengths of the Frostbite 3 engine are the huge level architectures; hardly any other game offers such large areas. This will often result in annoying walking distances, but the visibility is still more than impressive from a technical point of view. 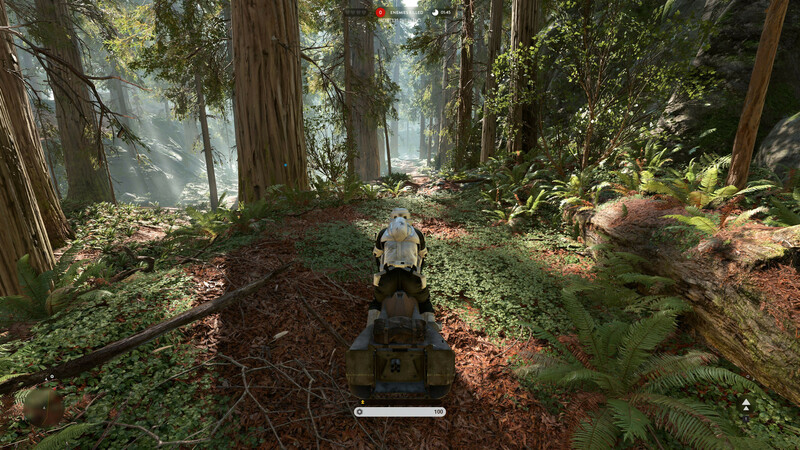 Now one might think that the quantity affects the quality, but it is actually quite the reverse: There are an extreme number of objects, especially on the forest planet Endor with its bushes, branches and small plants. 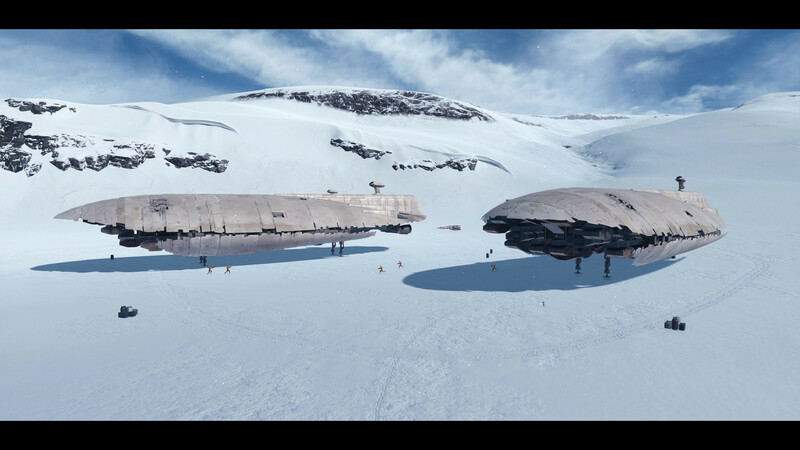 The other planets look very atmospheric as well - despite desert, mountain and ice environments. 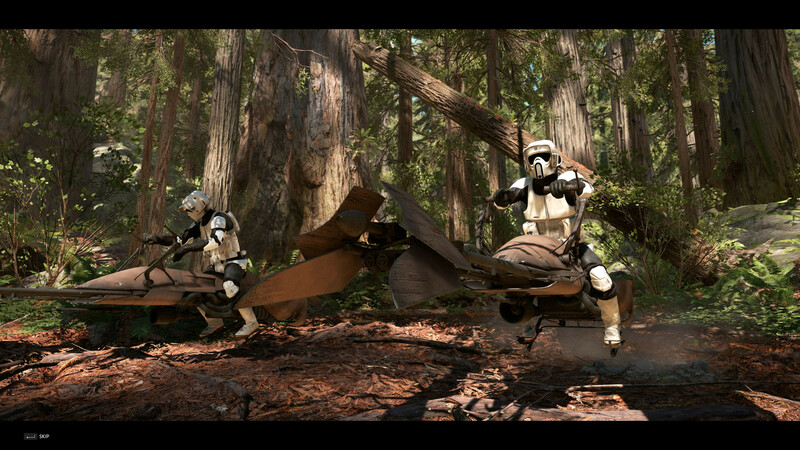 Great: Thanks to the proven technology, “Battlefront” is surprisingly free of bugs. Except for some textures and objects that pop up and the mediocre AI, which can sometimes be annoying, we did not encounter any serious issues during our tests. 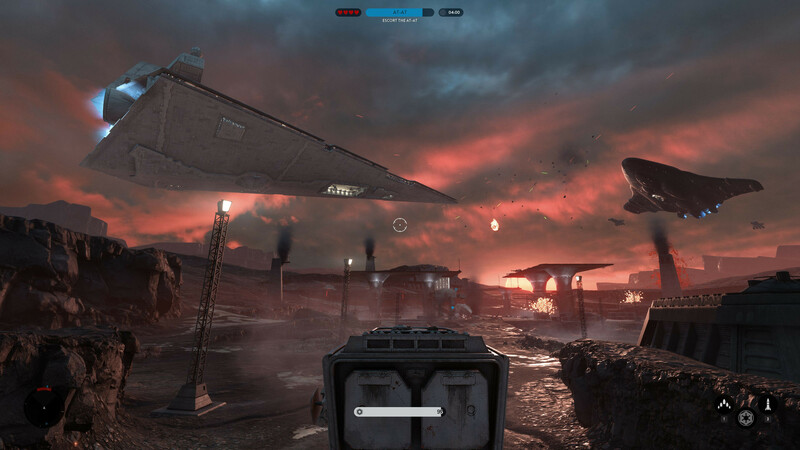 DICE has created a good overall package, which assists the player with clever tutorials, simple menus and intuitive controls. 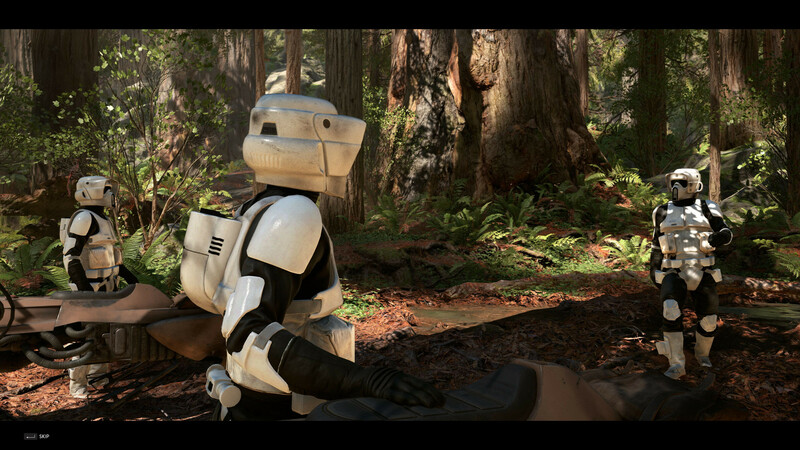 The developers also deserve credit for the comprehensive graphics settings. 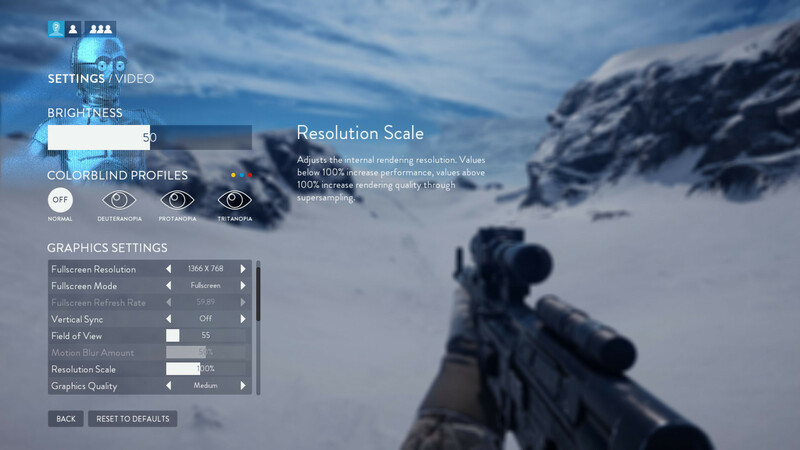 Even though the handling of the corresponding menu is not as comfortable as the “Battlefield” counterpart (much more scrolling), most users will be satisfied. As well as various individual settings, you will find four handy presets under the item "Graphics Quality", which can adjust the graphics in multiple steps. There are also toggles for the depth of view, the intensity of the motion blur and the resolution scale (we always leave the latter at standard). You can also change the general resolution, the picture mode as well as the refresh rate. If you hate line adjustments, you should definitely activate V-Sync. 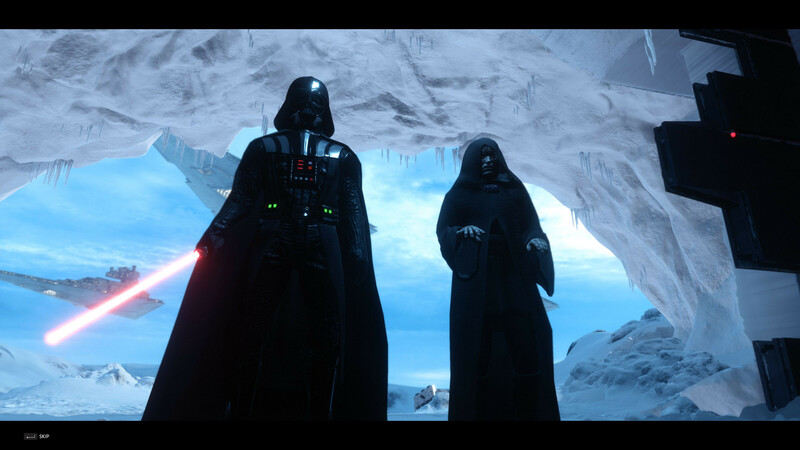 Without V-Sync, the performance will be capped at 200 fps. 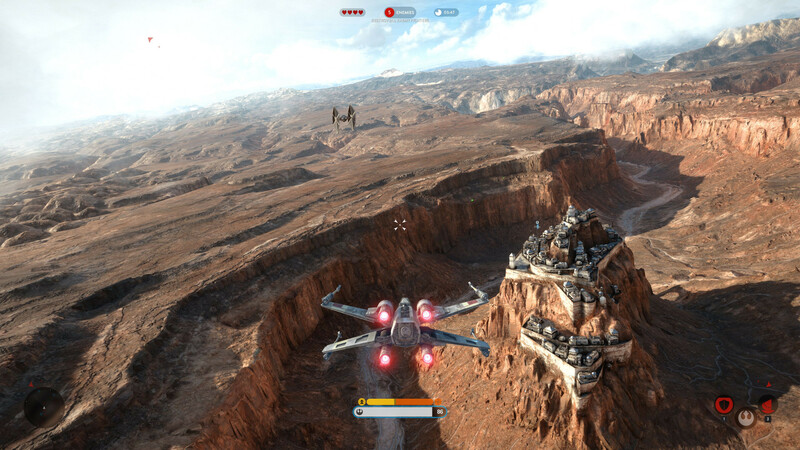 The anti-aliasing of ‘Battlefront” deserves some criticism. Unlike “Battlefield 4” and “Hardline”, the game does not support high-quality MSAA, but only the post processing versions FXAA and TAA; at least they do not affect the performance as much. 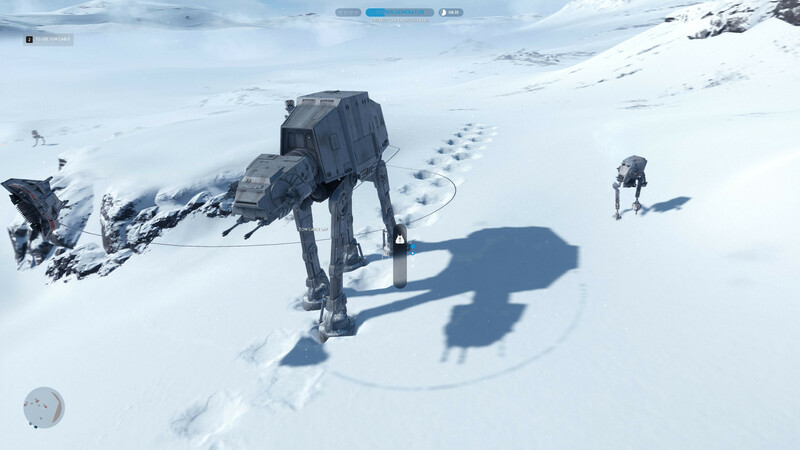 Nevertheless, “Battlefront” looks pretty good with the medium settings. We could not determine many differences between the High and Ultra preset, which is confirmed by the similar performance. “Battlefront” accepts all changes without a restart, so users of older notebooks can comfortably play with all the settings and enjoy the great soundtrack in the process. Because of the reasonable loading times (at least with SSDs) and skippable videos, the waiting times are pretty short. Around 27 GB is also acceptable for a game from 2015. 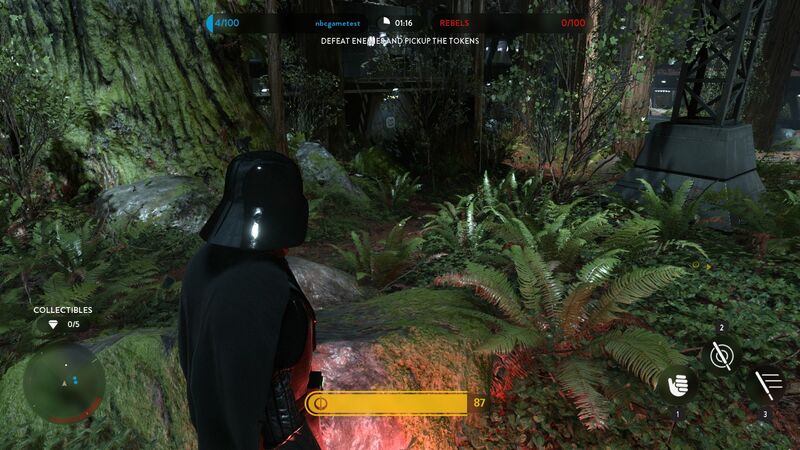 As far as we can tell, the forest planet is the most challenging for the hardware. 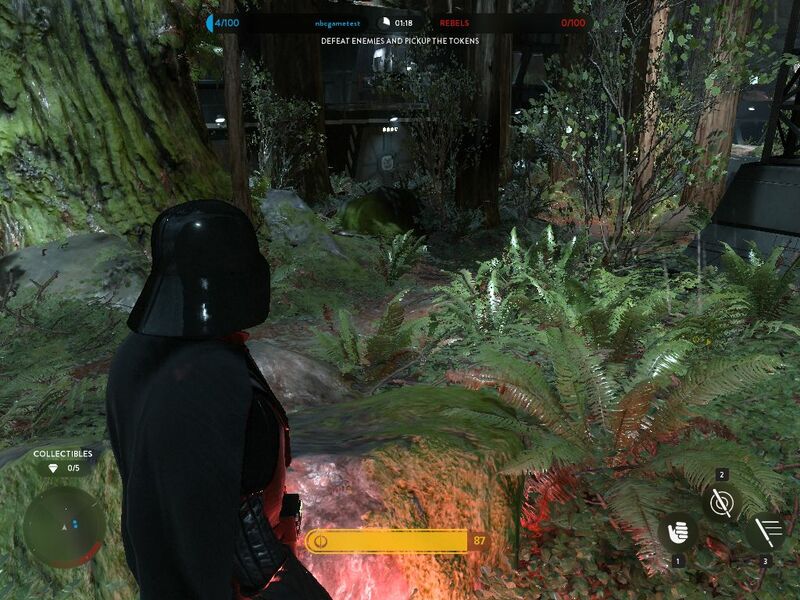 As you can see in the video below, our benchmark takes place in the single-player mission "Hero Battle on Endor", which can also be played with another player (optional). 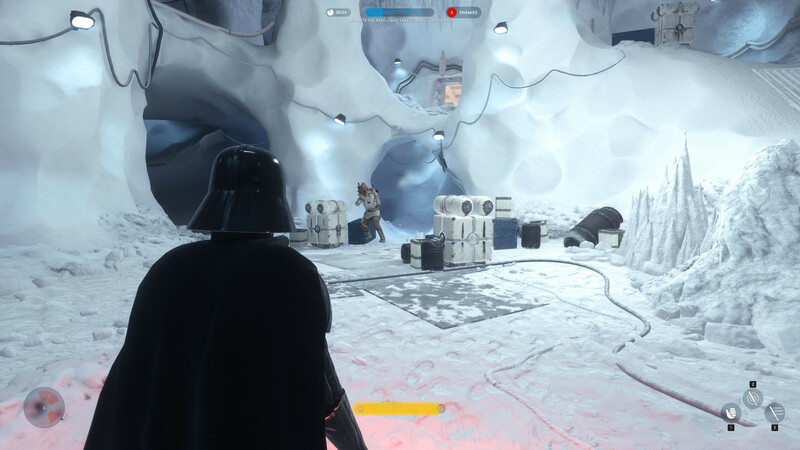 Playing as Darth Vader, you can run, jump and use your “lightsaber” for around 40 seconds on a pre-defined path. 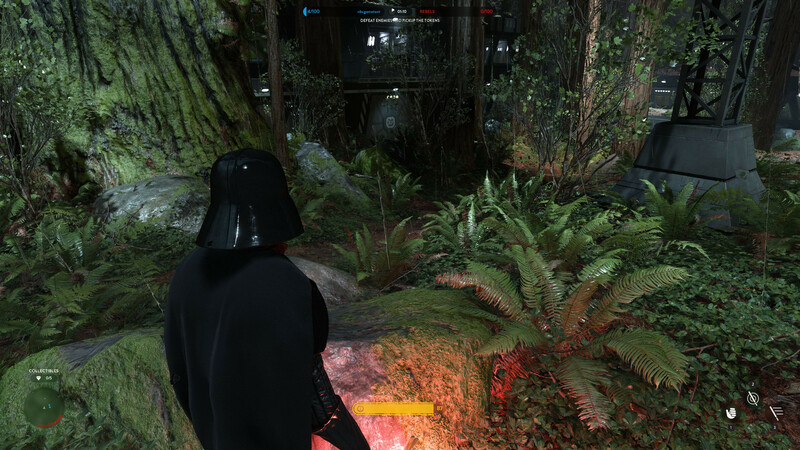 Thanks to the mixture of indoor and outdoor environments, we can ensure some fps variations. 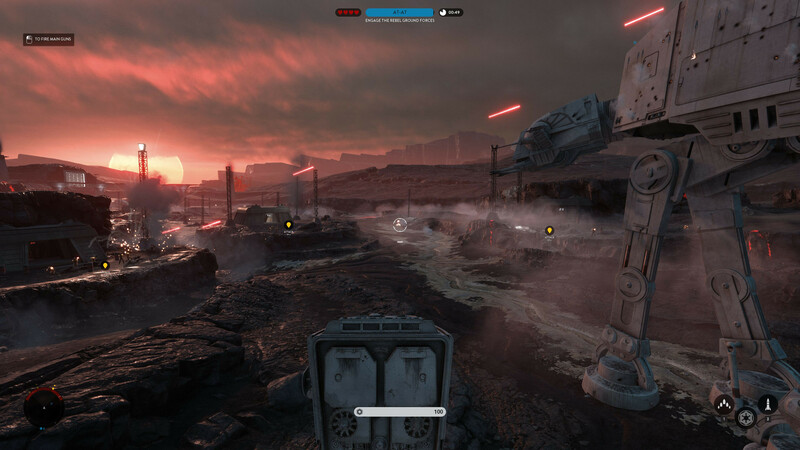 Based on our experiences, the benchmark sequence roughly represents the performance of a typical multi-player battle, although there can be differences depending on the level, the GPU and the settings. In any case, an average of 35 fps should be an indicator of a decent gameplay experience. 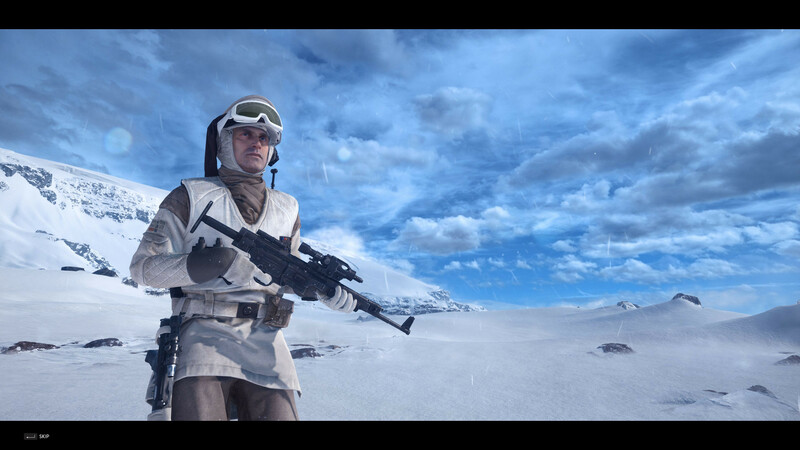 If your notebook uses an Intel HD Graphics GPU, then “Battlefront” will not run completely smooth in any setting. The HD 4600, for example, manages only 30 fps at 1024x768 and the "Low" preset. It requires at least a GeForce GT 740M or Intel Iris Graphics, respectively, for a smooth run of the benchmark sequence. 1366x768 pixels and medium details requires at least a GeForce GT 750M, while 1920x1080 pixels and the "High" preset are reserved for powerful gaming chips like the GeForce GTX 960M. 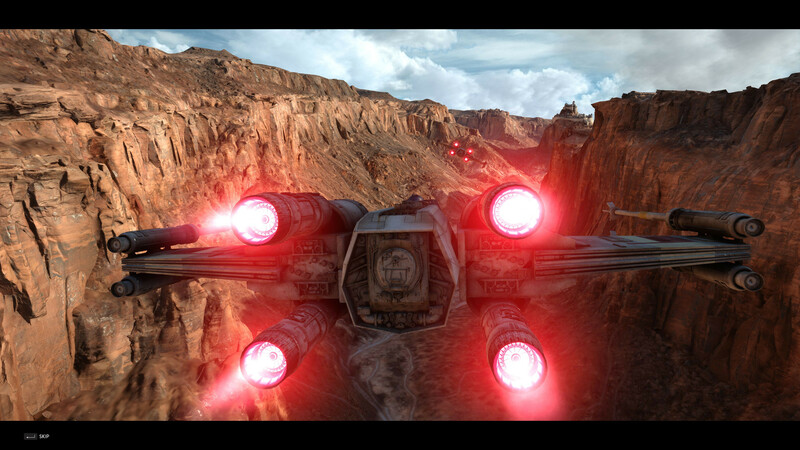 Maximum graphic details are possible with a GeForce GTX 870M or faster. 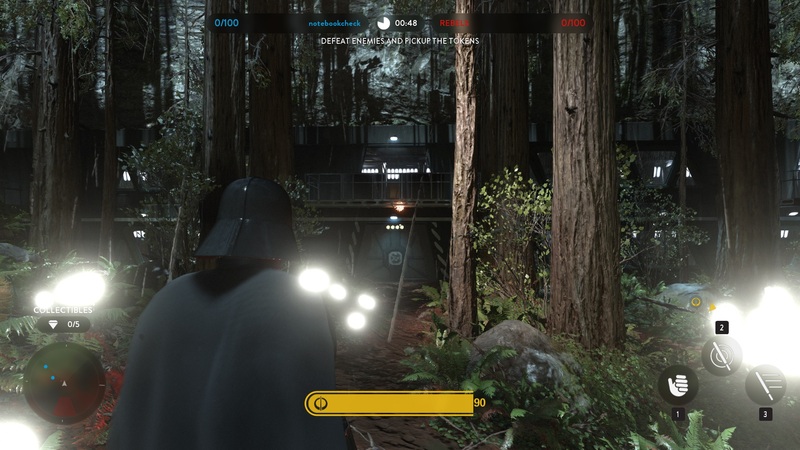 We noticed incorrect light reflections with the Intel Iris Graphics 6100 with medium settings and higher. Notebook users have to be careful with resolutions higher than 1920x1080. Even the old top model GeForce GTX 980M is not powerful enough for the combination of the "High" preset and 4K (3840x2160). This would require a GTX 980 (we checked the desktop-counterpart) or an SLI combination consisting of two GTX 980M cards. 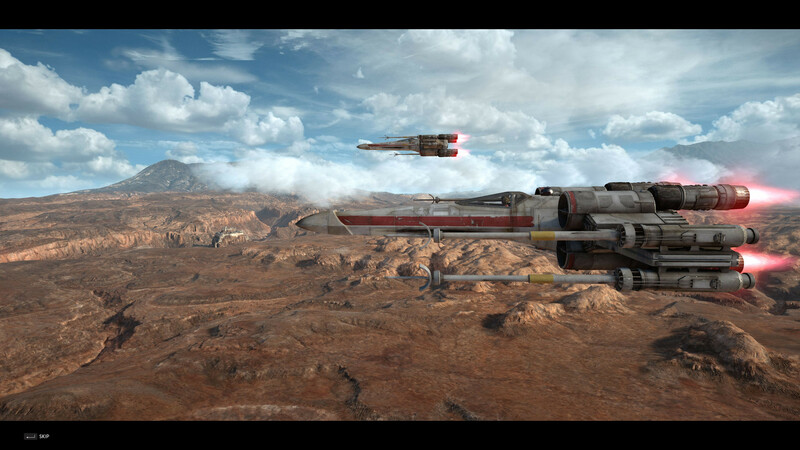 However, the hardware requirements are justified when you consider the great graphics quality. Like many other games, the processor does not play an important role. As long as the CPU is not very old or from the low-end segment, higher settings will always be limited by the GPU. By the way, graphics cards from AMD perform better than expected against their Nvidia counterparts (see R9 290X vs. GTX 980 @4K).